T TURBY type В«TВ», The Turby type В«TВ» is a 12-position magnetic stirrer dyeing system working on the winding/package beam principle. The pump effect in the dye beaker is caused by the rapid rotation of the stirrer. 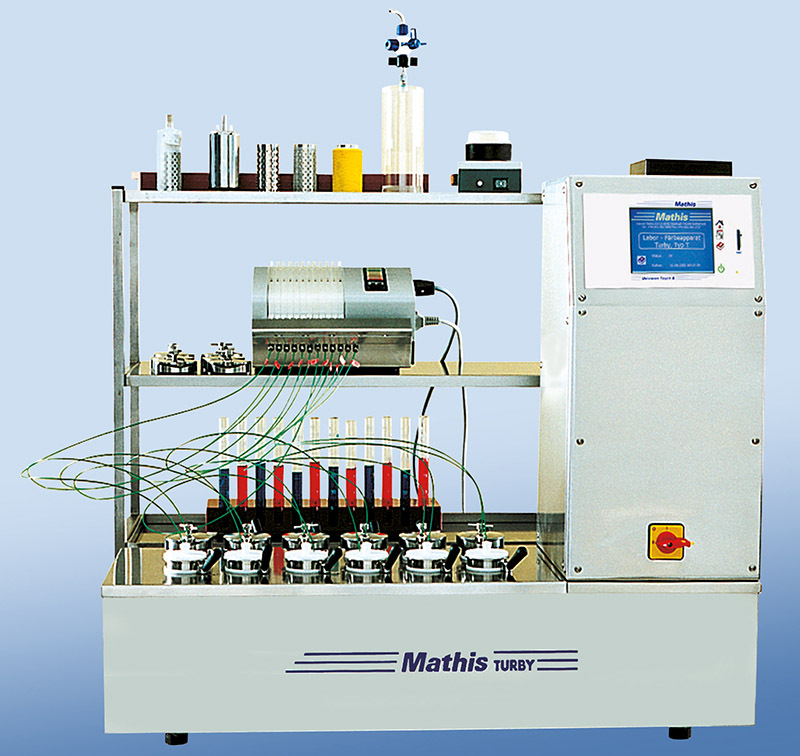 Chemicals are added directly into , Mathis AG :: Worldwide competence in dyeing and coating; Plant and mechanical engineering in the dyeing and coating sectors for standard laboratory and production equipment and customized system solutions. The Turby type «T» is a 12-position magnetic stirrer dyeing system working on the winding/package beam principle. The pump effect in the dye beaker is caused by the rapid rotation of the stirrer. Chemicals are added directly into the dye liquor using a hand syringe or with a 12-channel dosing pump. Linear, progressive or degressive dosing curves are possible.